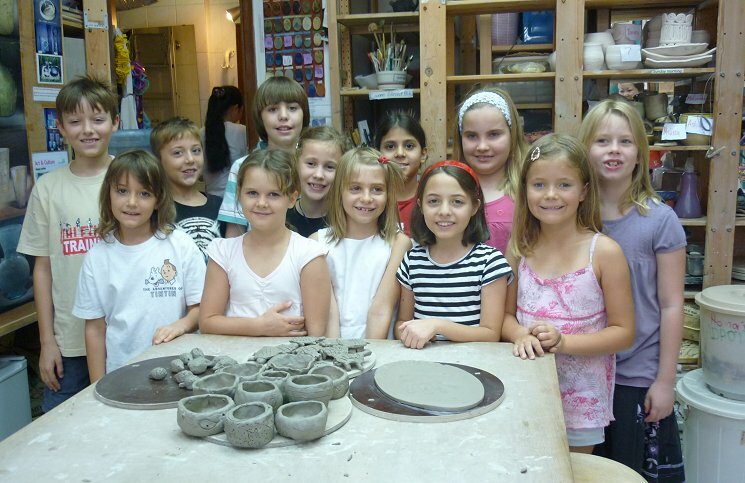 We host children’s parties in our studio, or the comfort of your own home, where children are introduced to Hand-building pottery. They will make a pinch pot and be given the choice of making animals, a small teapot or a small pendant. Please note: We are not permitted to serve any food during the party, however packet juice can be brought to the party. Fees (excluding VAT): For up to and including 8 children AED 640 and AED 80 for each additional child. . Note: All prices include guidance by our experienced teachers/party hosts. Air-dry clay (to be taken home the same day). Normal clay and firing can be used at an extra charge (20 Dhs per person), in which case the items will be bisque fired and you will be able to pick them up 4-6 weeks after the party.